Advance registration is open to race and delivery crew members of boats that have entered the 2018 Vic-Maui. Ask your Vic-Maui skipper for the advance registration links. There is a busy season ahead of qualifying races for teams preparing for the 2018 & 2020 Vic-Maui’s. Boats that enter early receive a reduction to their entry fee, and are offered advance registration opportunities to some pre-race events such as the Offshore Personal Survival Course (Safety at Sea), Vic-Maui preparation seminars, offshore weather courses and offshore first-aid courses. The early entry deadline was September 15, 2017. The final entry deadline is February 5, 2018. The 2018 Vic-Maui Notice of Race and NoR Amendment 1 have been published. 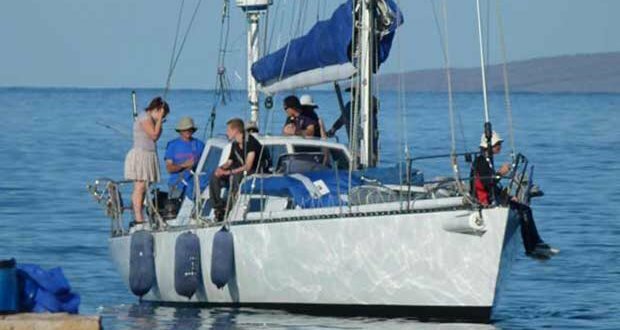 Vic-Maui, first sailed in 1965, celebrated its Half Century in 2016. 2018 will mark the 53rd year and the 27th running of the Vic-Maui International Yacht Race. Entries opened June 15, 2017. The fleet size limit is 25 boats. Start dates will be during June 29 – July 4, 2018. The awards banquet will be held July 21, 2018.